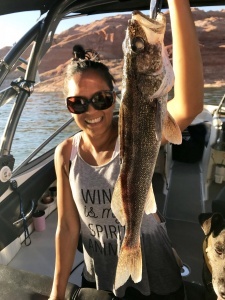 Amy McBeth is holding a huge walleye caught this week in the back of Navajo while trolling a fat free shad deep diving lure. 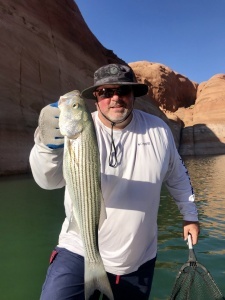 Lake Elevation: 3609 – Water temperature: 75 – 83 F – Lake Powell is BUSY on the 4th of July week. There are lots of visitors lakewide enjoying the sun and warm water. Houseboats, fast running boats, kayaks, wake boats, and all other watercraft are on the lake now. 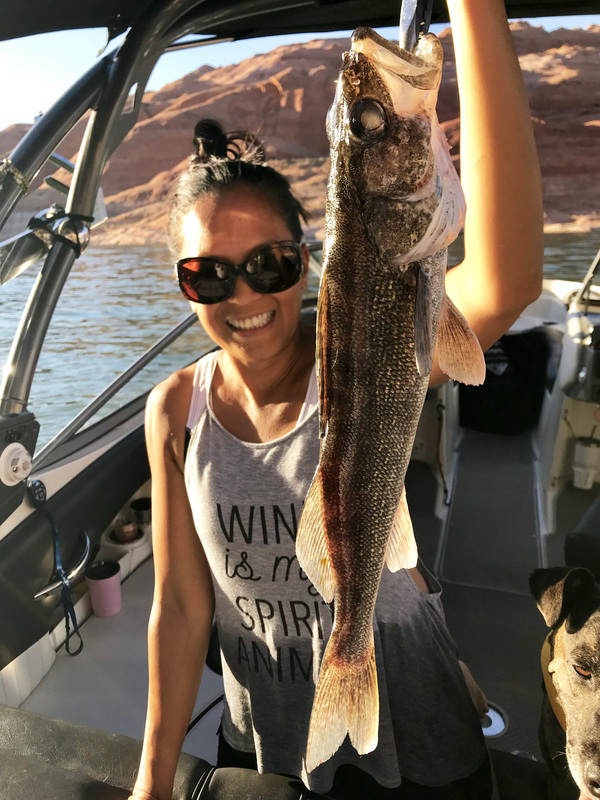 When heading to Lake Powell for vacation it is wise to bring along a fishing rod to broaden the whole lake experience. Fisherman need to get up early and then stay up late to catch fish. The lake is busy but fishing is still good.